The wet meadows, along with associated reens, ditches, and grips, provide a fantastic habitat for a diverse range of plants and animals. 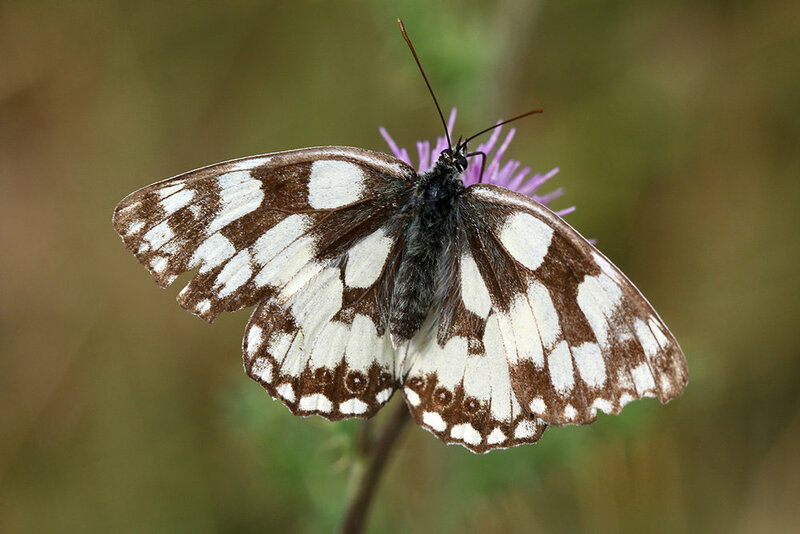 In recognition of this, the reserve has been designated as a Site of Special Scientific Interest (SSSI). The fields are home to a wide range of plants. In damper areas look for lesser spearwort, fine-leaved water-dropwort, rushes and sedges. On drier ground look for yellow rattle, southern marsh orchid and grass vetchling. The site also has good habitat for a wide range of birds, such as reed bunting and Cetti’s warbler. 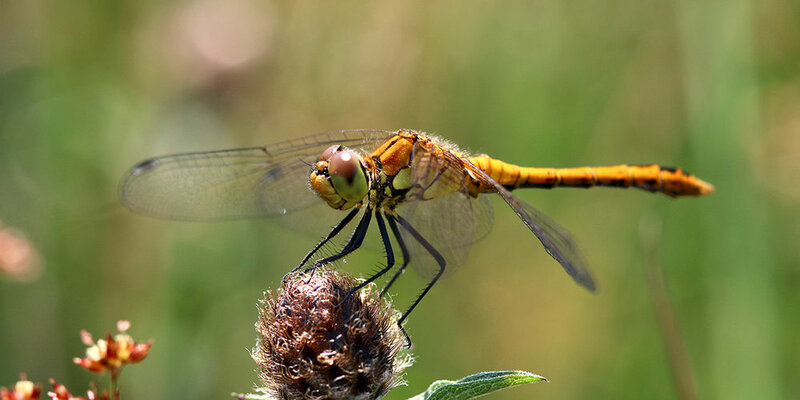 During the summer, look out for dragonflies, including emperors, black-tailed skimmers and broad-bodied chasers, and butterflies, such as the distinctive marbled white. The reserve is also home to one of the UK’s rarest bees, the shrill carder bee. There is a walking route around the reserve (30 mins), starting from the small car park, and the site is crossed by the Wales Coast Path. The reserve is owned by the Eastman Chemical Company and managed by Gwent Wildlife Trust. It is a Site of Special Scientific Interest (SSSI).